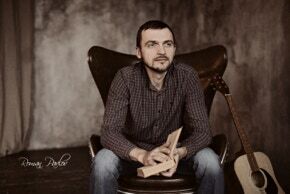 The musical project «Rhythm of Mankind & Nature» was founded in 2000 by Roman Pavlov. The goal is create the astral, spiritual music that able to enhance the listener’s perception of the surrounding World. Composed as based on electronic sounding, the music is harmoniously supplemented by live instruments and vocal, creating both melancholic, warm, gentle pieces causing delight, the feeling of flight, cosiness and comfort and abstract ambient melodies able to immerse in a meditative state. The history of the project includes more than 17 years of experience in ethno-electronic sound. The author seeks to harmoniously mix atmospheric pads, acoustic instruments, complex rhythms, cosmic vocals and its esoteric point of life view in each songs. The collection of background nature&apos;s video with music in atmospheric styles: ambient, new-age, chillout, lounge, relax. The duration of each video is not more than 10 minutes and contains only one song to make you comfortable way to create your own playlists which will right for you! Build your collection for yoga classes, meditation, and creativity as well as work or rest. I wish you absorb the energy of the Nature and use this power to achieve your goals!